We found out this morning that Dolly crossed the rainbow bridge last night. Prayers for her and her hoomins. We are grateful for the time she was with us and we are grateful for her parent who took such good care of her. Dolly, you precious bunny. I'm very sorry it was your time to go to the bridge. She was a sweetie - now gone where the good bunns go. Take care Peeps .. a big loss. Beautiful Dolly. You will see my beloved OC there, who is a cat but will be a darn good friend to you. Tell him you like head baths. I just went back and viewed all the Dolly posts in order. So lovely! How is Mr. Toes doing? My favorite picture is the one of them snorgling. Peace, Dolly. So sad you have left us, but so happy to know you are now hopping around and binkying in the Big Garden. Peace to your very caring hoomins as well and comfort to their hearts. 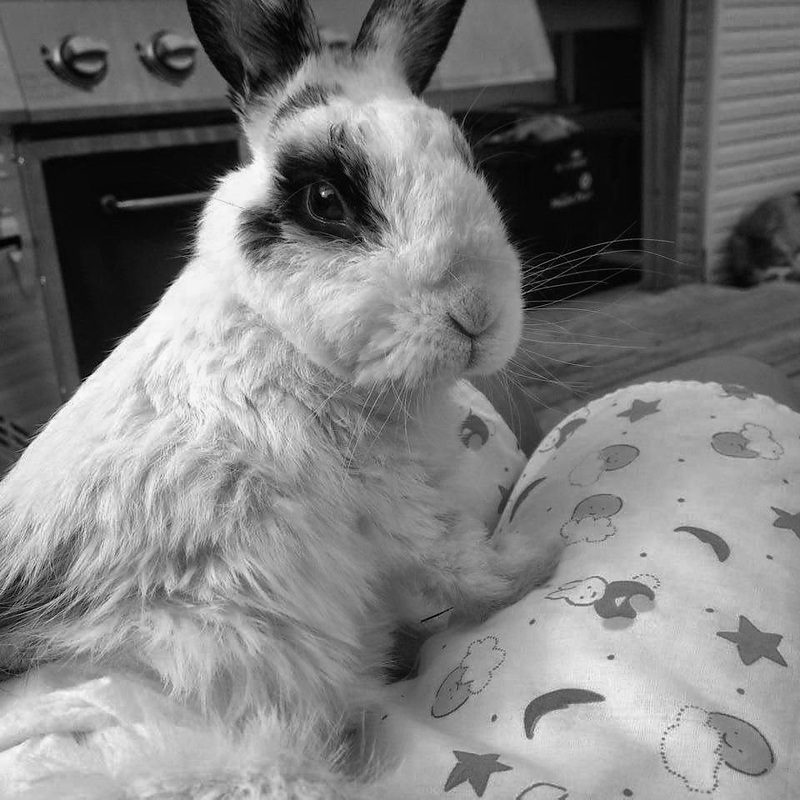 Dolly was a very brave bunny girl, and I am glad that her hoomins looked after her so well.